→Have You Always Wondered Where The Deer Sleep? Have You Always Wondered Where The Deer Sleep? If yes, you’re not alone in this. Nearly all forums related to hunting have similar questions, with different people giving divergent views on where this wild animal sleeps. Obviously, having a solution to this puzzle is quite important for any serious hunter out there as it translates to successful hunting. 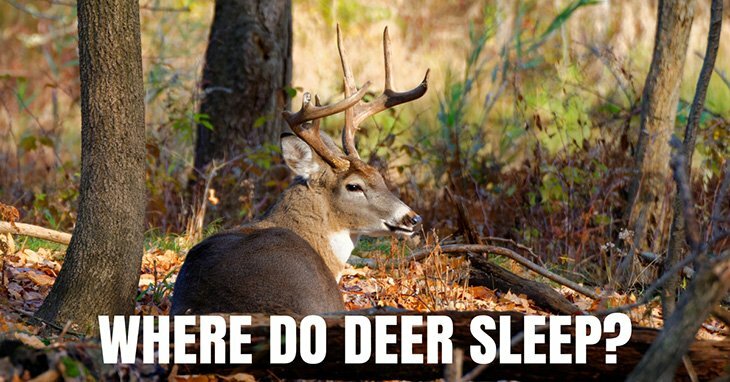 Join me in the following post as we set to discover the answer to the mystery: where do deer sleep? First Things First: Do Deer Sleep? Though there has been limited research on whether these animals sleep, it’s crystal-clear that they must have to sleep at some point (as it is with all the other animals - mammals and birds - out there). But unlike what you might be thinking, the deer don’t always sleep at night. This is because they tend to use the darkness cover as a way of protecting themselves from their predators. And whenever they sleep at night, they do it to conserve energy, stay hidden, and even protect themselves from their enemies. And now to our top question - where do these animals sleep? The simplest answer to this issue is - deer sleep anywhere they bed. And they do so either singly or in groups. In general, you should always expect to find the deer sleeping in regions where they’re not exposed or visible to their predators. 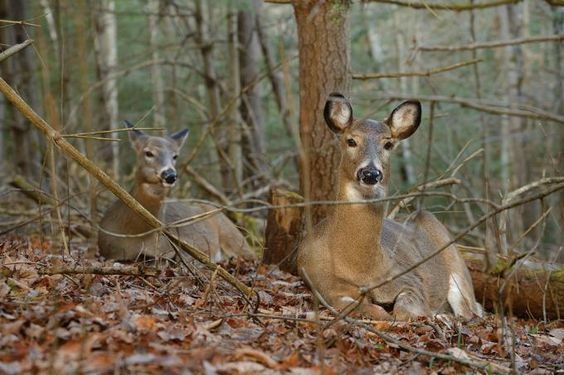 Tall grasses, dense foliage, and bush are some of the perfect sleeping spots for deer as they excellently hide them away from easy visibility during the night. As all the experts agree, deer are creatures of habitat which explain why they might bed in the same area for days or even months. Related Video: Ever wondered where deer sleep? The dominant deer tend to have their favorite bedding spots, and they might even kick the subordinate bucks out of their beds. Whenever the night temperatures drop (or during winter season), deer do not hibernate. Rather, they look for warm places to sleep in. You’ll often find them sleeping under the coniferous trees such as pine. The reason behind these animals selecting such trees is that they have thick, low branches that excellently protects them from the falling snow and winds (while acting as a perfect roofing when the temperatures rise). How Do The Deer Behave While Sleeping? Now that you have learned where a deer sleeps, let’s find out how they sleep in their beds. According to the available wisdom, the animals sleep with their heads in a variety of positions and with the eyes open or closed. They might even sleep with their front and rear legs tucked under them, or with the rear legs tucked and front legs stretched, or on their side with all the legs extended. The deer’s typical sleeping session involves around 30 seconds to several minutes of dozing. There’s a short alert period, more dozing, and a short alert period again. This cycle lasts for approximately 30 minutes. After around every 30 minutes, the animal will stand and stretch (and probably defecate and urinate) before sleeping again. It’s also important to note that the deer spend most of their time bedded. 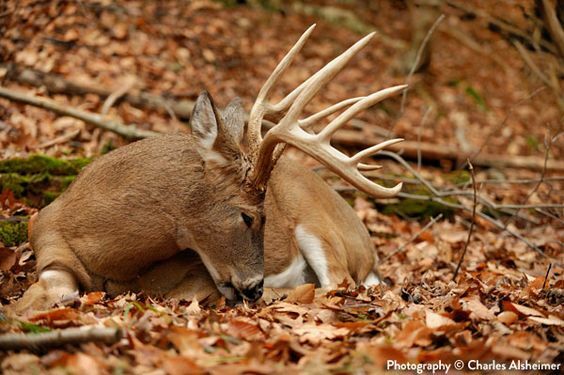 The duration varies with seasons - they sleep less in rut periods and more in winter seasons. While bedded, you should expect them to chew the cud, to regurgitate, and digest food. Can You Sneak Up On A Deer In Its Sleep? If you think you can easily catch a deer when asleep, think again! The deer don’t let down their guard easily while sleeping. They’re highly cautious animals - always wary of their predators - and do not sleep throughout the night. Rather, they doze off for extremely short periods which enables them to stay alert. And in case one deer spots you, he’ll alert the rest of the herd with loud snorting sound. Dr. Peter Pekins, from the University of New Hampshire, has carried out extensive research on the captive and wild deer for close to 30 years. 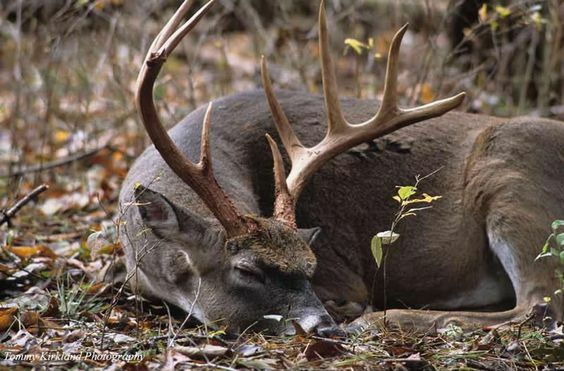 According to him, you cannot approach a sleeping deer, save for the rare occasion when the ground cover, terrain, deer bed location or wind direction align in your favor. Like any other animals, the deer also sleep. They do so anywhere they bed, and their beds are usually situated in areas where you can’t easily detect them. When the winter comes in, you’re likely to find these animals sleeping under the coniferous trees whose lower, thick branches shelters them from winds and snow. Again, note that you cannot sneak up on a sleeping deer and hunt him down. This is because these animals are cautious by nature and will remain alert even in their sleep.